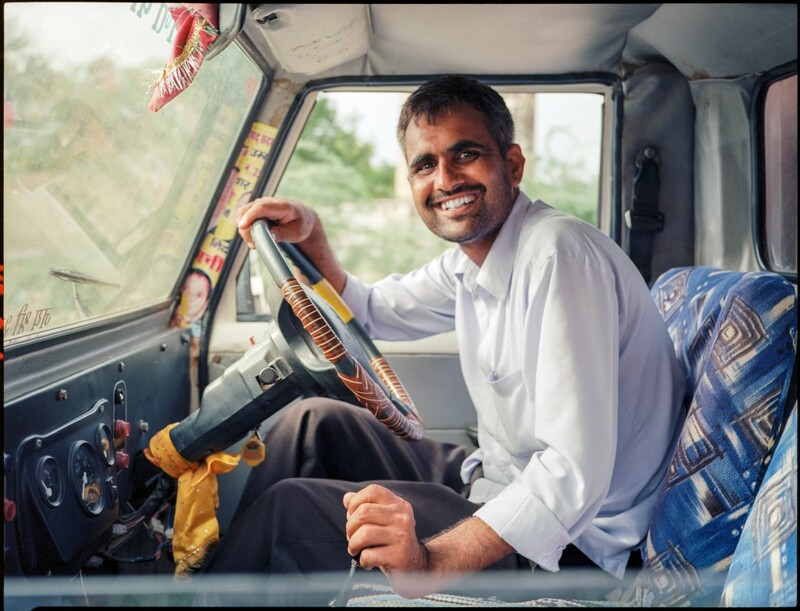 this gentleman stopped by with his car on our very first day on the road in the jhunjhunu district of rajasthan with our trustful driver and most lovely charcter, Mahinder Singh. We were busy exploring a small Mogul-time well we didn’t know yet we would see many during the trip. the gentleman, while he talked to Mahinder and asked questions about us, waited patiently until we came back to the car, just for one single reason: to say “Namaste! welcome in my country. have a save trip.” he gifted me the most delightful smile when i raised my camera in an asking manner. it was the best start a stranger, a foreigner, a traveller could ever have. i wish those who sit in the middle of all their redundant luxury goods in the western world would only understand the true meaning of a warm, friendly welcome this man gave me without expecting any in exchange, before they suggest to “build a big wall”, to declare the use of fire arms against people who run for war and poverty as a legal instrument or gamble with refugees’ lives at the country borders. the best part of India is its people. you’re so right Trillian ! thank you so very much, honey! i appreciate your visit, comment and support on my story. cannot wait til when we make friends from strangers together again in just a few months. and just to hug you.